Why CheckGaadi.com does not buy or sell vehicles? How can CheckGaadi help in Car Valuation Checks? Let us be blunt – There is no “simple” online substitute to a physical car valuation. Good old “car inspection” process is here to stay, and for good reasons (Here are our top 10 reasons for car inspection and a little “how to” for Bangalore and Delhi btw). The technological evolution in automobile space only complements the car valuation rather than substituting it. Here is another piece on car valuation from CheckGaadi.com. If you would rather start from the scratch on car valuation stuff then there is another one for you. If I were buying a used car, an independent car valuation would be the first thing I would think of as soon as the car of my dreams is shortlisted. Why? Because I like to do my homework before I commit my hard earned money of this quantum on anything. If you need more convincing on car valuation or car inspection then read this blog. 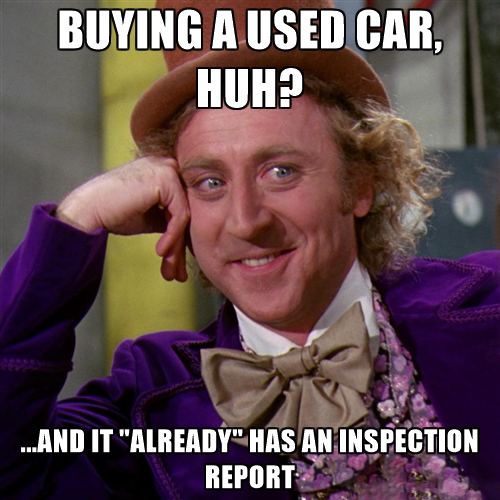 When it comes to used car purchase there are no shortcuts. We have made is as simple as possible for you to get a used car valuation at your fingertips. How? Here are more details on how something like car inspection has been made simple. Don’t take chances with this stuff. Its not worth it! Here is why you will never regret an independent car valuation before buying used car. All this sounds common sensical, right? You will be surprised!